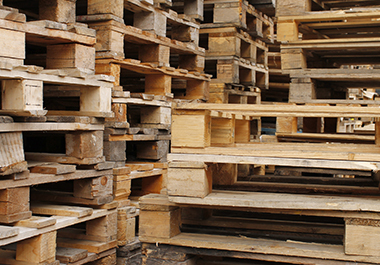 Pallets & Crates | D & J Pallet Inc.
Let us take unused and unwanted pallets off your hands. D & J Pallet Inc. in Colorado Springs, Colorado, offers wood repairs and recycling on used pallets and crates. Tell us what dimensions you need so we can build to your specifications. We build GMA standard size or whatever suits your needs. Our standard pallets are built from the finest in pine, oak, and remanufactured wood. If your pallets need heat treating, we offer ISPM15 certification. No minimum quantity is required for your order. For the Colorado Springs, Denver, and Pueblo areas, we offer local delivery. Our crates come in all shapes and sizes with solid pine and OSB construction. We can fill any order regardless of quantity, and we offer local delivery. Save money by repairing broken boards and forklift damage on your heavy pallets. 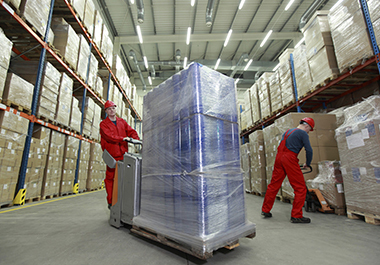 For repairs of company-specific pallets, we pick them up and delivered the repaired pallets back to you. The wood from your discarded pallet can be broken down and recycled for use on new pallets. We redistribute standard recycled pallets at lower than new cost.